I once worked with a client whose dog was displaying aggressive behavior associated with fear. I worked with the client and the dog to start changing his behavior and to build his confidence. Prior to me working with him, the dog had been trained in a board and train setting using a shock collar. He was visibly terrified to walk anywhere but at my left side as he was afraid of being shocked. Teaching him to walk on my right side or even in front of me was a challenge as his anxiety overtook his ability to absorb what I was teaching and communicating to him. My heart broke for this dog who had lost the ability to think for himself and was too frightened to enjoy life. Unfortunately, many board and train programs do not implement positive training techniques. This means dogs are trained through the use of an aversive (pinch collar, shock collar, etc.). Instead of teaching a dog what behaviors are desired, trainers teach dogs what behaviors are not desired by using these tools (e.g. if the dog pulls on leash he gets a pinch from the prong collar, or if the dog reacts to stimuli he is shocked until his focus is no longer on said object). I understand the allure of board and train programs. We would all love to have a dog go away for several weeks and come back with perfect manners and without behavioral issues. The problem is in order to correct these issues, you, the owner, must be involved. Without you, there is no relationship between human and dog. Without that relationship, dogs are simply robots who live from command to command. Building this relationship takes time. And patience. And consistency. It takes communicating to your dog in a positive way what your expectations are of him, and that you are the leader. Without this positive, consistent leadership, dogs cannot become who they should be. Dogs trained with aversive techniques don’t always know what to do in the “in-between”—the times between commands. 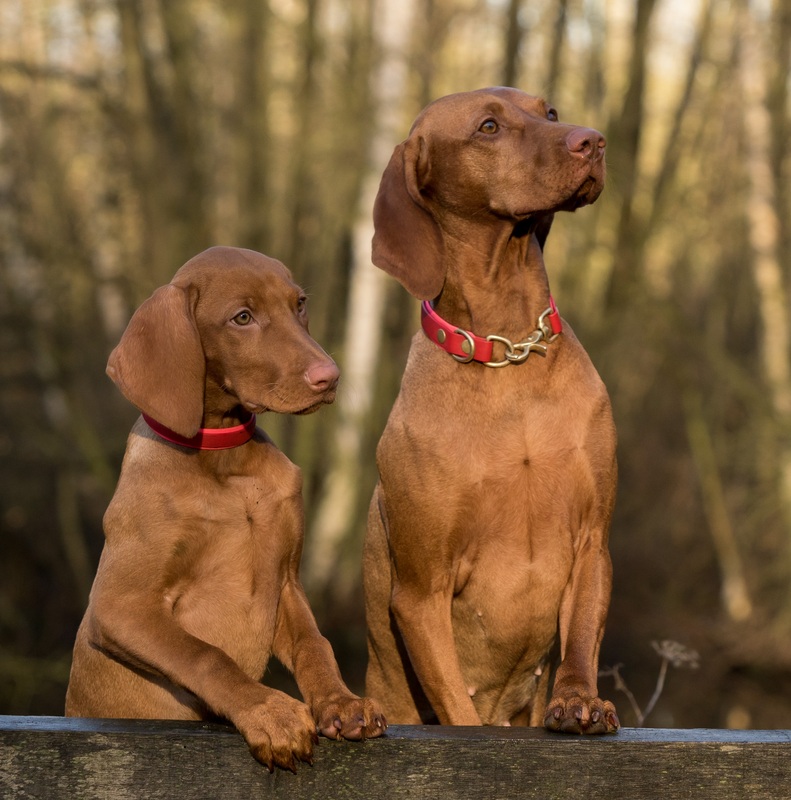 Because their expectations have not been set (they only know how to avoid correction, and many times aren’t sure what situations will cause the correction), dogs often develop severe confidence issues. These issues may manifest as fear biting, hiding, cowering, excessive licking/panting/pacing or other obsessive behaviors. Many dogs who are trained to walk on-leash with a prong collar won’t walk nicely on-leash once that collar is off. This means the dog never truly understood how to walk correctly with a leash, only how to avoid correction. Do positive trainers teach commands? Of course. However, positive trainers also teach that the “in-between” isn’t scary. They teach a dog to make choices, and that the consequences for wrong choices aren’t harsh. Do positive trainers have board and train programs? Yes. These programs are typically designed to rehabilitate dogs with severe confidence issues or to lay foundation for manners. The trainer should teach owners how to continue training at home to help establish leadership and expectations. Training should not change your dog’s personality for the worse. It also should not suppress behavioral issues. If your happy-go-lucky dog comes back from a board and train program with ears back and tail tucked, or if your dog with reactivity issues no longer reacts to dogs on leash, but now displays other behavioral issues, aversive techniques have likely been used. If the trainer presents you with an aversive tool, you’ll obviously know they were used. Are there instances when a shock collar has been beneficial? Sure. A dog who climbs fences will likely stop if shocked while climbing. However, if the collar has to be used more than a couple of times, it’s not working. In order for this tool to work, a trainer’s timing must be precise so as to communicate to the dog his behavior isn’t appropriate. Unfortunately, these and other training collars are often left on a dog all day. Imagine wearing a shock collar all day and being shocked each time you walked in the kitchen. You’d likely stop going in the kitchen. Now imagine the person with the remote doesn’t have great timing and shocks you when you are around the kitchen. It wouldn’t take long for you to stop walking around the house. People may think you have a calm temperament, what they won’t see is you being shut down from fear. The above example seems exaggerated, this is essentially what happens when a dog is subjected to training that uses pain or fear. While it may seem impressive to see a dog walking perfectly while on a prong or shock collar, keep in mind the dog is doing so to avoid a painful correction. He is likely walking on eggshells. He is afraid to make a mistake. This is not how healthy relationships are formed, whether human to human or human to dog. If you are adamant about using a board and train program, do your research first. Be sure the trainer uses positive techniques and doesn’t give you unrealistic expectations of your dog in a short period of time (e.g. a severe behavioral issue being “fixed” in a couple of weeks). The trainer should help build the relationship you have with your dog, not cause your dog to “submit” to you. Ultimately, keep in mind that if it sounds too good to be true, it likely is. Training your dog is a 24/7 job, but it is well worth the time and effort for both you and your dog.